Question: Which British journalist created the notion of ‘beer styles’, and then introduced the concept to the world at large through his book The World Guide to Beer, first published in 1977? Even if you’ve never heard of Michael Jackson (the beer guy) before now, it’s safe to say that many craft beer drinkers today are familiar with at least a few different beer styles helped popularized by Jackson such as Berliner Weisse, Saison, Milk Stout, German Pilsner, Flanders Red, Doppelbock, English Porter, Märzen, Kölsch, Gueuze, Vienna Lager, etc. 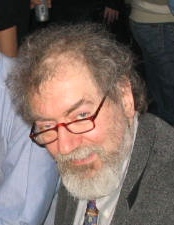 To his credit, it was Jackson’s groundbreaking work in identifying and categorizing beer styles in 1977 that provided the framework for the creation of the very influential BJCP Beer Style Guidelines which, as of the 2015 edition, has listed, described and organized over 100 world beer styles. Of course the BJCP (Beer Judge Certification Program), whose purpose it is to promote beer literacy and formally recognize beer evaluation skills, is well aware of the influence Michael Jackson has had on the world of beer. Jackson’s influence was certainly widespread, particularly in shaping the homebrewing movement and therefore the craft beer revolution in U.S. and, to an extent, the rest of the world. No doubt, fate had a part to play in Jackson’s success when we consider that the release of his book The World Guide to Beer (1977) preceded the legalization of homebrewing in the U.S. by just one year. Not too long after this, the BJCP was founded (1985) after adapting and expanding upon Jackson’s work. The BJCP fostered and promoted homebrewing by running homebrewing competitions and educating beer judges on the subject of beer styles. In turn, homebrewers developed and honed their skills by brewing a variety of world beer styles. Many of these homebrewers then began to open craft breweries. Consumers developed a taste for craft beer, which increased demand and inspired new generations of homebrewers to learn to brew even more world beer styles that Jackson and others continued to identify and define. Directly or indirectly, the international brewing community has been influenced by Jackson’s beer styles whether through his original book (translated into more than ten different languages), the BJCP’s growing international presence, or the explosion of the craft beer market in the U.S.
All of this contributed greatly to this golden age of beer we find ourselves in today. And underneath it all was this shared vocabulary and understanding of beer styles that Jackson invented that made the world of beer more accessible to everyone, bringing both brewers and consumers together. It opened the doors of discovery to the beers of the past, those liquid cultural time-capsules steeped in tradition that continue to enrich our lives today and inspire the beers of tomorrow. Indeed, as new kinds of beer become popular, they may also be cataloged and canonized as new separate and distinct ‘beer styles’, thus helping to ensure the preservation of modern-day beers, and thereby a piece of world culture. Naturally, as a brewer and BJCP beer judge who is (by requirement) acutely familiar with beer styles, I was curious to get a peek behind the curtain to see where it all started. What did Jackson’s seminal work on beer styles look like? How similar was it to how we categorize beer today? How did he define ‘beer-style’? What were the original beer styles he identified? So I tracked down a first edition copy of Jackson’s The World Guide to Beer to ensure there were no changes to the book in subsequent editions, and turned to the section on “the classical beer-styles”. Perhaps not fully anticipating the significant influence his conception of beer styles would have in the near future, Jackson initially devoted a scant two pages of his two hundred and fifty-five page book to the description and utility of beer styles. A) Bottom-fermented: (1) Münchener, (2) Vienna, (3) Pilsner/Pilsener, (4) Ur-, Urtyp, etc., (5) Dortmunder, (6) Bock, and (7) Doppelbock. B) Wheat beers: (1) (Süddeutsche) Weizenbier, (2) (Berliner) Weisse, and (3) Gueuze-Lambic (Brussels). C) Top-fermented: (1) Saisons, (2) Trappiste, (3) Kölsch (Cologne), (4) (Düsseldorfer) Alt, (5) Brown Beers, (6) Mild Ale, (7) Bitter Ale, (8) (Burton) Pale Ale, (9) Porter, (10) Bitter Stout (Dublin), (11) Milk stout, (12) Russian Stout, (13) Scotch Ales, and (14) Steam Beer. 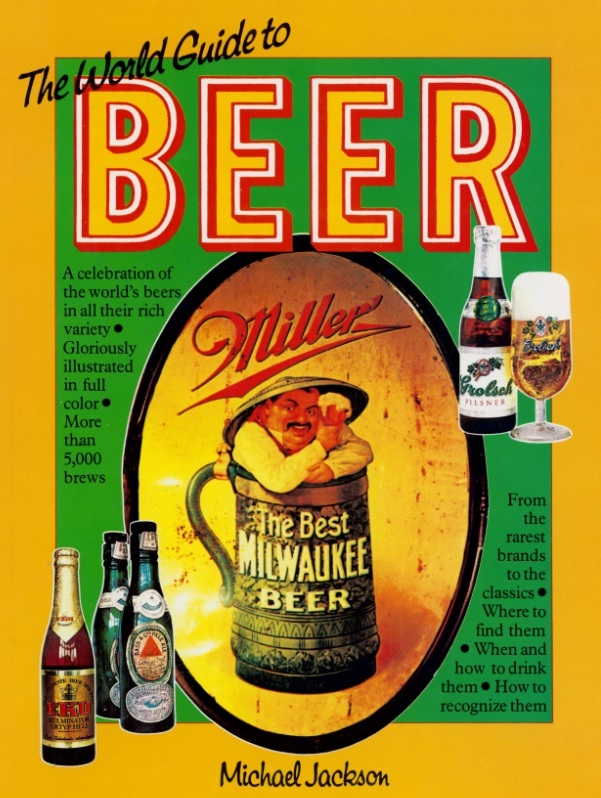 Later in the book, Jackson gives more information about the various beer styles, often noting a style’s history, how the beer style is presented in the glass, and listing a few commercial examples. So there you have it— a look back in time to the origin of beer styles. As mentioned, the number of different beer styles identified and described in detail has significantly increased since Jackson first introduced his work in 1977. For example, the length of a description of any given beer style in the 2015 BJCP Beer Guidelines ranges from about a half page to a page and a half (about the same length as this article) and follows a standard format that covers detailed information about the beer style’s appearance, aroma, flavor, mouthfeel, overall impression, history, characteristic ingredients, style comparison, comments, vital statistics, and commercial examples. Of course when looking back at Jackson’s original work, a few questions still remain for some people. For example, why didn’t Jackson include other beers styles on his original list when he explicitly identified at least a dozen more beer styles throughout The World Guide to Beer? Why was the term ‘beer style’ adopted in modern use but not ‘beer type’? Does Jackson’s definition of ‘beer style’ run into trouble if we take a very literal interpretation of his statement that “If a brewer specifically has the intention of reproducing a classical beer, then he is working within a style.”? For instance, what if a brewer’s intention is to create a beer that falls squarely between two or more examples of classic beers of the same style? Is the brewer then not working within a particular beer style? Is the resulting beer somehow a new style? How do we measure a brewer’s intention? Also, should the original commercial example of a beer style not be considered to be part of the beer style it originated since the original brewer would have had to have had the intention to model his beer after some other classic example? Why was ‘wheat beer’ considered to be one of the three broad categories of beer on par with ale and lager instead of a sub-category of ale? Furthermore, why did Jackson only identify wheat ale as a broad category when he was well-aware of wheat lager, pointing out in his book that “Many brewers produce bottom-fermented wheat beers which they call Lager-Weisse.”? Questions aside, Jackson has delivered to us two very powerful insights to help us simplify and talk about the world of beer: (1) seemingly all different kinds of beer in the world can be categorized into an approachable and useful hierarchy, and (2) most, if not all, kinds of beer can effectively be grouped together by the kind of micro-organism(s) used to make that beer, which at the time was ale yeast or lager yeast, although other kinds of yeast and bacteria have since been included into the micro-organism group used to make beer. Like this post? Well, thanks- we appreciate you! Want to leave a comment below or Tweet this? Much obliged! Hi, I’m Dan: Beer Editor for BeerSyndicate.com, Beer and Drinking Writer, BJCP Beer Judge, Gold Medal-Winning Homebrewer, Beer Reviewer, AHA Member, Beer Traveler, and Shameless Beer Promoter with degrees in Philosophy and Business.